Welcome to one of the largest land based casino & entertainment centers in the world – Crown Casino & Resort in Melbourne, Australia. The complex was opened in 1997 in the location it’s now to be found today after it was moved from its initial location that opened in 1994. The whole complex takes up 2 city blocks of space equal to 510,000 square meters, which is obviously huge! It’s the largest casino in Australia and Southern Hemisphere, which is a part of astronomic body rotating and located on the south of equator, in other words, the whole south Asia and Australia. The casino holds a license to offer up to 500 table games and up to 2,500 poker machines (slot based gambling machines). Crown Resort has been hosting a number of celebrities and generally well known people in the world, such as Tiger Woods, Katy Perry, Tom Cruise, Nicole Kidman, Roger Federer and plenty of others. Crown Casino provides players with an enormous amount of casino gambling games to play, including six main games that are known by all gamblers in Australia – BlackJack, Craps, Baccarat, Roulette in its two main variations (European & American), Pai Gow Poker and Slot Machines, in a massive amount of variety of course. To speed up the playing process and probably also keep the expenses of operating particular games low, Crown offers electronic variations for Roulette and Baccarat, also known as Rapid Roulette and Rapid Baccarat. In regards to BlackJack, especially the tables where you can bet amounts as low as $5, Crown offers what is known as the worst type of this game in Australia. This refers to the house edge, since the BlackJack Plus game that, that is offered, features a 5% house edge, instead of 0.5% as it usually is. High-rollers get a completely different treatment and of course also have normal variations of BlackJack offered for them. There are special VIP suites developed, where you’ll be able to play for the highest stakes in the world, get a complete concierge and red carpet experience and simply have an amazing time. When it comes to pokie machines that seem to be among the most popular games in Australia, Crown Casino is very proficient and have 2,500 of these gambling machines offered. One cent, five cent as well as dollar to five dollar minimum machines are located in the general gambling hall as well as the VIP room. Crown seem to be working with industry leading developers of slot machine games, as their games are mainly powered by WMS, Aristocrat, Konami, IGT and Shuffle Master all of whom are very well known providers in both, offline as well as online gambling environment. Crown Promenade with 465 hotel rooms that are located over 23 floors. There’s a conference hall built inside as well as the hotel is connected with the main complex via pedestrian overpass. Crown Metropole, which is apparently the largest hotel in Australia with 658 hotel rooms sorted over 28 floors. The hotel provides perfect service for visitors who are on a budget as well as those looking for something more fancy. Crown Towers is a luxurious 5 star hotel that accommodates guests in the 481 rooms over 38 floors. There also are multiple packages offered for those that are planning to stay for a longer period of time or with their families. This includes family retreats, special SPA treatment, partying at various nightclubs in the VIP zone and celebrating New Year with an all inclusive service included. You name it, personal at Crown Casino can deliver! 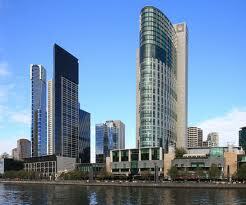 Overall the hotels at Crown Casino & Entertainment Complex are of the finest quality. After all, these are all 5 star accommodation entities we are talking about here! Looking to dine? How about more than 25 dining amenities that are located within Crown Complex? That’s right and the best thing of all is that they are really diversified between high end, premium restaurants and sort of fast food places, which are pretty much ”grab & go” places. Premium Restaurants include a pretty high number of Italian, French, Japanese, Chinese and Australian local dining amenities where you can get the best possible service in terms of food as well as waitering. Some of the most popular locations from my research turned out to be ”Rosseta Ristorante”, ”Rockpool Bar & Grill” and ”KOKO”, which is a place serving national Japanese foods. Casual dining places include sushi bars, cafeterias and fast food, burger restaurants. These are great after for chilling with friends, grabbing a beer or just trying to get back on your feet after a wild weekend! Juicy burgers, authentic Italian pasta and great coffee are just some of the great foods that you can claim here. You will be able to earn reward points in the casino rewards program with every purchase made in these on top of, obviously, being able to earn them by playing any of the gambling games offered by Crown. Looking to get into a party mood or exactly the opposite – to heal your party mood? That’s fine and Crown Casino will help you get there with one of the 5 bars and nightclubs they are offering. Visit SkyBar & Lounge, Atrium Bar, Crown Bar, Jackpot Bar or JJ’s Bar & Grill. The largest land based casino in Australia quite obviously offers an amazing experience. 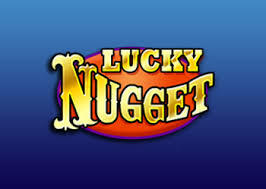 This is not some naked casino or gambling establishment that is trying to scam you out of money. Instead, Crown Resort welcomes and brings you into a completely different world where daily problems are gone and it’s all about partying, having fun and enjoying life!